HFX Ramen Quest: The Final! The Ramen Quest was a bit of an experiment, as I had never done a head-to-head tournament-style quest before, nor had I been tasked with such impossible logistics. It is easy to share pizza and nachos with a group, but have you ever tried to split up bowls of noodles and broth? Who gets the egg?! Then there is the question of what to order, and whether it’s fair to compare wildly different flavours and preparations. My quest to find the best ramen in Halifax would prove to be somewhat haphazard. So I’ll liken my search to a tournament, with all its flukes and upsets, rather than the scientific method. You could say this was the 2019 Super Bowl (of Ramen)! “On any given Sunday you’re gonna win or you’re gonna lose. The point is, can you win or lose like a (ra)man?” The best team doesn’t always win, but is subject to contingency and accident. For example, Truly Tasty’s star quarterback threw deflated lettuce, losing the support of some fans. Studio East’s all-star team had meaty strength and noodly agility, but lacked a good backbone (or bone broth, as the case may be) to synergize the team. Meanwhile, Buta Ramen lost to underdog, Tako Sushi, in the semi-finals by playing an inexperienced rookie (i.e. chicken ramen) at a crucial moment. Perhaps the biggest upset was when Water & Bone forfeited the game rather than waiting for the refs to make a call, citing their refusal to play in such a fledgling league with inexperienced officiators. ReTales and Riea split the light shoyu chasu ramen, a generous bowl of shredded and sliced pork, lightly poached egg, and house-made noodles submerged in Truly Tasty’s shoyu broth. We noticed that Truly Tasty is still favouring Iceburg Lettuce while Cabbage sits on the bench. It’s a bold strategy, Cotton. Let’s see if it pays off for ’em…. “An excellent bowl,” says ReTales, “a marked improvement from the last round. The broth was well developed.” He would have liked to see more vegetables (re: Cabbage) get some field time, but it was a solid defensive game by the bulky proteins. Denton and Helen tried the Crispy Fried Chicken Ramen for the first time. Helen was impressed that the chicken and lettuce kept their crisp integrity despite the brothy assult. 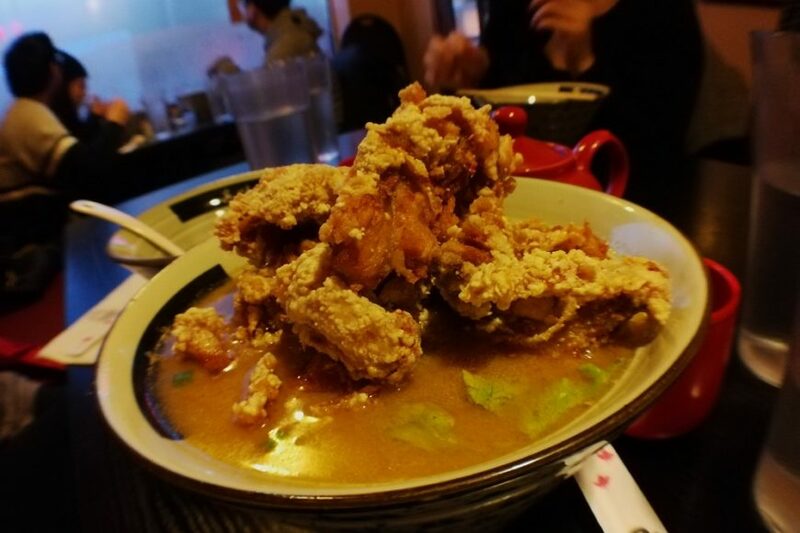 “A rich yet mellow broth which compliments the crispy chicken well,” says Denton, who also noted that there might actually be too much meat (hey – that isn’t a bad thing!). LuShark and I split the Veggie Ramen, which is a bit out of character for us. I love rich, pork-laden bowls of ramen, and LuShark – well, she’s practically a carnivore. I wanted to put these ramen shops to the ultimate test by seeing if either of them could impress us with a vegetable ramen. Truly Tasty makes their veggie broth from kombu dashi, and their latest recipe features kimchi puree. We were shocked! “So bright and bold. 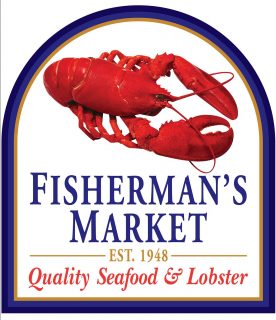 Immediately appetizing!” says LuShark. The broth was amazing, rich, and full of umami. As I blended in the kimchi puree, the broth became deliciously spicy. It was a touchdown! We both enjoyed the deep fried tofu and the delightful springy noodles. My only complaint was that the bowl was lacking toppings. Sure, there was lots of tofu, but I would have appreciated some other curiosity to add to the value of the bowl. But at $10.50-$13 per bowl, it’s hard to argue that this isn’t a good value. It’s actually amazing. LuShark, the meat-eater, claims that this is the best bowl of ramen she’s had to date. “I preferred this over the meat!” she remarked, in spite of herself. Whoever heard of a shark eating kelp? 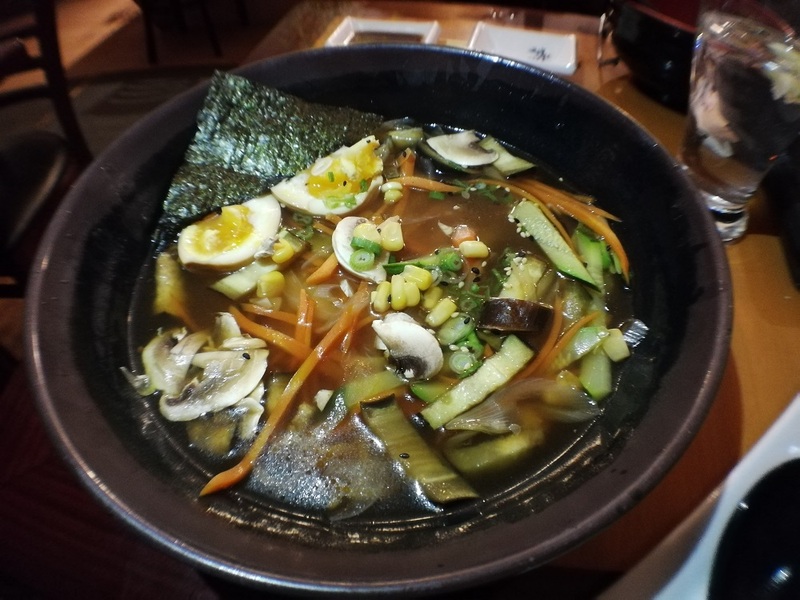 The Vegetable Ramen at Tako is called a “Tokyo Ramen” and this style is generally a medium-bodied, chicken and dashi base, flavoured with soy sauce. This vegetarian version is what I expected: thin, brownish, with a subtle umami. It was not mindblowing, nor was it bland. LuShark thought the broth was one, or maybe two-dimensional, but not complex or interesting. The vegetables contributed a colourful visual, but didn’t actually add to the taste. There was carrot, cucumber, eggplant, corn, mushroom and green onion. All of the vegetables were raw, even the eggplant, and I think the opportunity to extract maximum flavour from the vegetables was entirely missed. LuShark tried a couple of bites, and promptly poured her portion back into the bowl I was eating from -“Done”. We were confused when the Tokyo Ramen (right) hit the table. 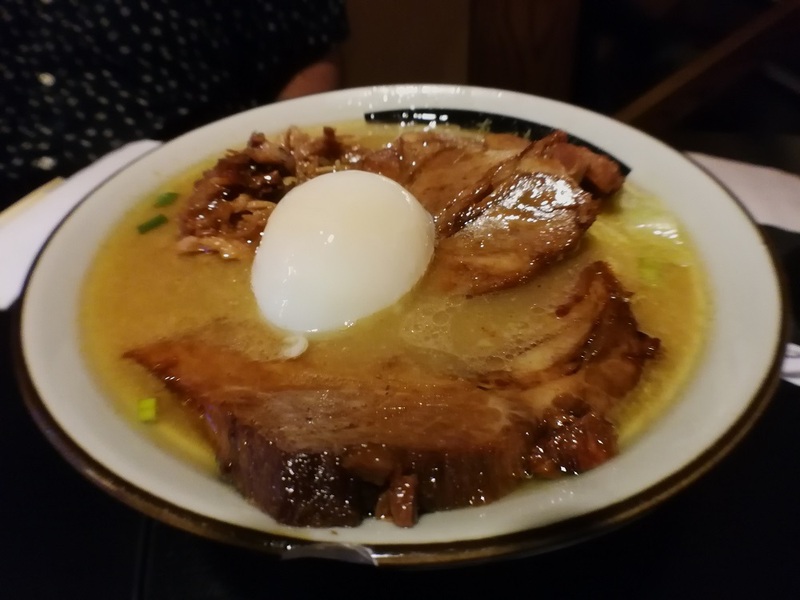 “I had to make sure the broth was shoyu because it looked like tonkotsu,” said Riea, “It tasted more like salt than soy sauce as well – almost like they took the shio broth and added a dash of soy sauce for colour”. She concludes that the broth just didn’t have the same depth as Truly Tasty. 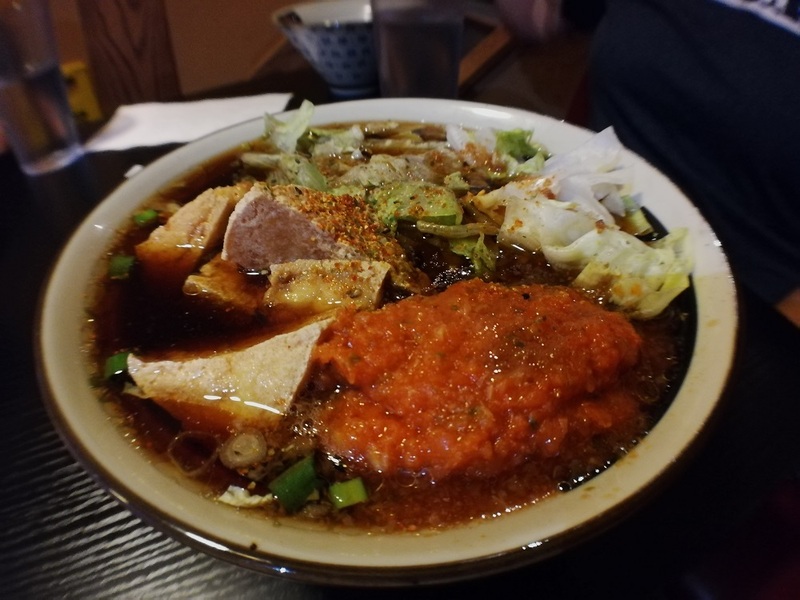 Helen and Denton split the Osaka Ramen, which is flavoured with shio (salt) rather than soy sauce, and contains BBQ pork rather than chasu (pork belly). Helen describes the broth has having a “pork dominant aftertaste” which isn’t what I would expect from a shio ramen (but I suspect Tako’s nomenclature is somewhat arbitrary). Everyone, despite their respective bowls of ramen, agreed that the noodles were overcooked and slimy. According to Riea, the “noodles were ‘tired’ tasting, not chewy or bouncy”. Team Tako has been consistent all year. They have a solid team with a relatively deep bench, but there are no star players leading the way to victory. The Super Bowl (of Ramen) was a blowout, with a final score of 147-112.5 for Truly Tasty! Tako simply couldn’t compete against those house-made noodles, drinkable broths, and heaping piles of meat and tofu. 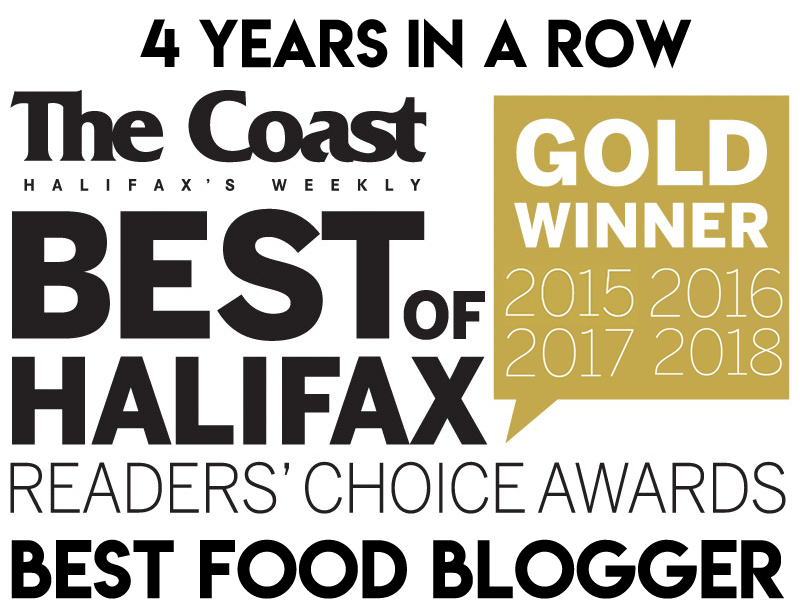 Truly Tasty is like the Tom Brady of the Halifax noodle scene and it shows on the scoreboard. As for me, I prefer phở, but that’s pho’ another given Sunday. I’m happy to say the Ramen Quest is fini. Doneso. Hasta la vista, baby. And as the Pastafarians say, r’amen to that! 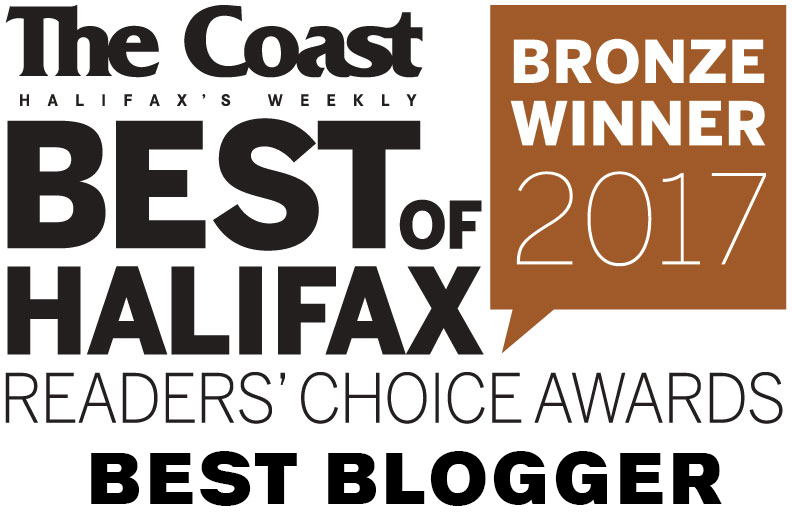 See the Full Tournament – Where do you think is the best ramen in Halifax? Totally agree with your decision on Truly Tasty! I love this place, and their commitment to quality. They state the provenance of their chickens for the broth, and close for the day when they run out instead of stretching it with boullion cubes. I’d also like the cabbage back in the ramen, but that’s a minor issue. They do just a few things, and do them really well. One of my favourite places.